I have spent my entire life thinking my dad is pretty much the bees-knees and since he just keeps improving with age like a fine wine (or a stinky cheese, as he would say), I’ll just keep carrying on that way. My dad has always been that perfect blend of serious, goofy, cautious and devil-may-care. For example, he’d make sure you put your seatbelt on before driving on roads that were closed due to weather conditions just because he could. Dad is one of those renaissance men. 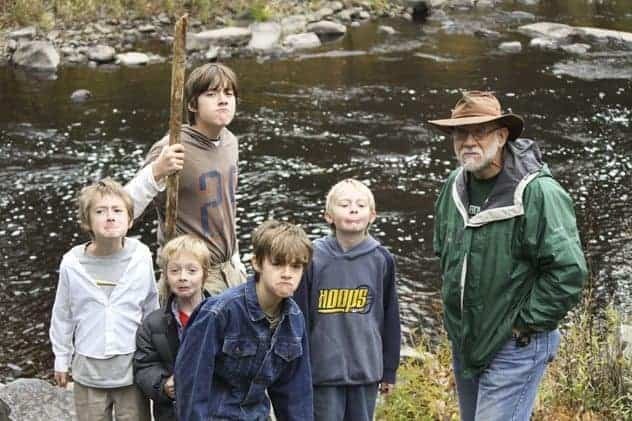 He’s equally at home screaming at a hockey match, speaking in churches, ploughing snow, operating his ham radios, working on his local volunteer ambulance squad, fishing, reading books, crafting groan-inducing puns, felling trees on a dime, listening to beautiful music, dandling grandkids on his knees, pulling campers on water skis around a lake in a speed boat, putting nervous parents at ease on airplanes, and hiking the vast wilderness trails near where he lives. With a list of attributes like that, is it any wonder I’m an unapologetic daddy’s girl? But that’s not all. My dad can bake. He has a specialty bread -one that most everyone who spends a decent amount of time with him gets a chance to taste at some point or another. Dilly Bread. 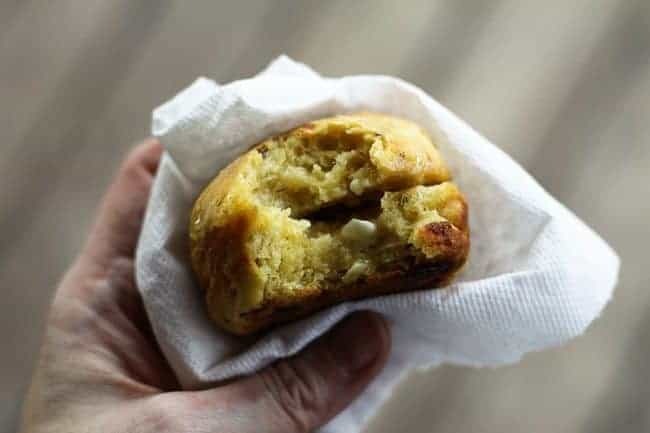 Many years ago, dad took the recipe from the “Deaf Smith Country Cookbook” and made it his own. Translation: he made it better. To begin with, this recipe is a no-knead recipe. No knead to tinker with that. Ahem. You just mix the lot up in a big bowl with a sturdy spoon and let it rise in a warm corner. As for the changes, the original recipe called for honey as the sweetener. Dad has mainly used sugar over the years, mainly because -as he says- that’s what he had handy. I stick with the sugar vs. honey, both because it’s easier to measure and it’s a less expensive ingredient. Dad also played with the type and proportion of onion in the recipe. He suggests using minced dehydrated onions because “it’s easier to add more onion to the dough.” I stick with the minced dehydrated onions not only for that reason, but also because this is a very slack, moist dough and the dehydrated onions soak up a bit of that moisture, making it easier to work with. When I asked Dad what kind of flour he prefers (because the book didn’t specify) he said, “Whatever I have on hand, but I did try making it with all whole wheat once and it didn’t rise enough for my liking.” I personally like to toss a little whole wheat in there, so I go for about a 2:1 ratio of all-purpose flour to white whole wheat. Then you get that wonderful toasting quality of whole wheat along with the more impressive rising ability of all purpose. Now, once your dough is rising, you need to turn your attention to what you’ll use to bake it. I had a double batch of this rising on the counter the other day when I realized that my oven had (once again!) broken. The potential two-fold horror of wasting A.) a batch of perfectly good bread dough for my favourite bread that has B.) four full cups of cottage cheese ($$$$$) in it made me get really creative really quickly. I determined that my little old toaster oven could fit two standard loaf pans in it side-by-side, but that wouldn’t account for the other two loaves worth of dough. I brought out and greased a fistful of ramekins in a fit of desperation and found that it made BEAUTIFUL little individual loaves when baked. So- you’re left with choices… standard loaf pans, ramekins, or…by extrapolation… pretty oven-safe bowls. The nice thing about using ramekins for dough was that I had leftover dough that wouldn’t fit anywhere I could bake it before over-rising. How is this a nice thing now when it’s usually to be avoided? …And fries those rounds of dilly, oniony, cheese-studded dough. Behold the brilliance of The Baker’s Tax. If you are nearby when these are fresh from the oven and you have a single lick of sense, you will beat a hot path for the kitchen and be not proud about eating as many of these little rounds of glory as you possibly can. 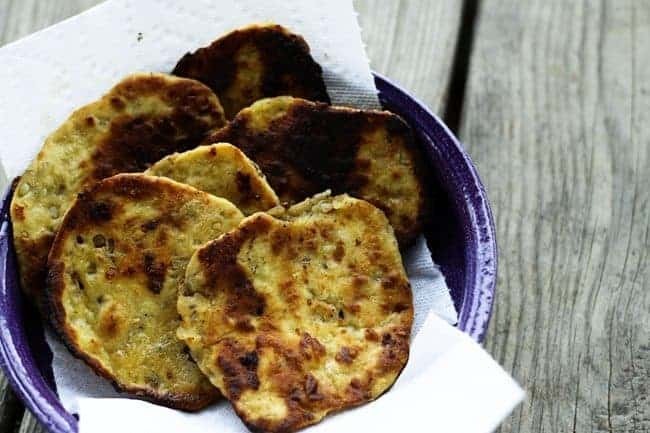 If you should somehow make an entire batch of dough into these, I will tell you that you probably couldn’t find a better possible flat bread to wrap around smoked turkey breast, lettuce and onion with a smear of spicy mustard. But that scenario would presuppose you hadn’t already eaten them all, so we’ll just leave that one alone. In the meantime, while you’re waiting for your standard loaves of the stuff to bake, contemplate how you want to serve the finished product. Sliced thin, this is just about the best deli-meat sandwich vehicle you’ll ever eat. Toasted on one side in a pan with butter, you can’t imagine a better accompaniment to a fried egg, mug full of soup, or bowl full of stew. But if you were to slice a couple of hearty pieces of bread, butter them both and stack them around some nice melty cheese, then slowly fry it in a pan until it was deep golden brown and the cheese was gooey, you might just yawp from the pure joy of the thing. Six out six sturgeon faces agree: any way you slice it, Papa’s Dilly Bread makes people happy. 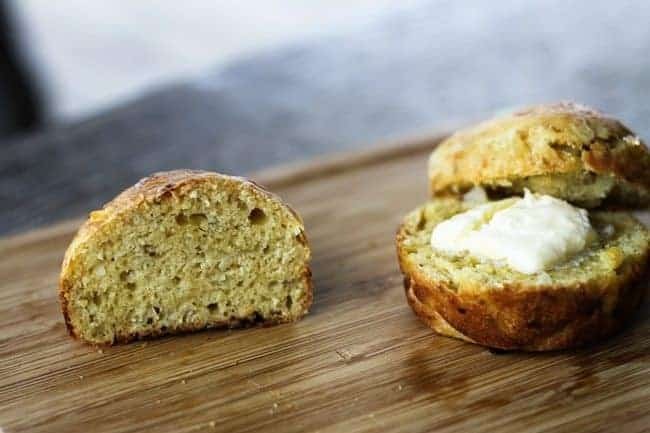 This no-knead sandwich bread is flecked with aromatic and flavourful dill and onion and enriched and kept moist by the addition of cottage cheese. 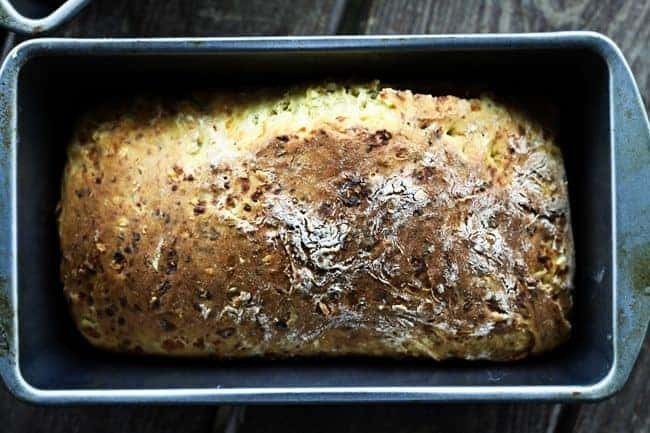 The little melted pockets of cheese make this bread one of the ultimate choices for toast. 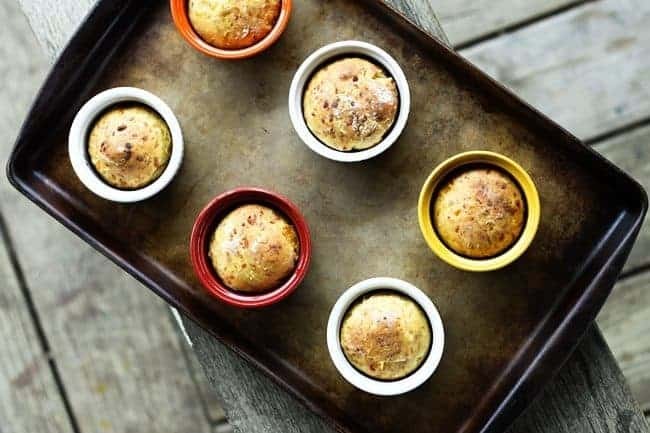 When baked in ramekins, the dough makes beautiful little individual loaves ideal for accompanying meals. Gently stir the yeast into the warm water with the pinch of sugar in the bottom of a large mixing bowl. Let stand for 5 minutes, or until the yeast is frothy. While that rests, whisk together the cottage cheese, milk, oil, sugar, minced onion, dill seed and weed, salt and eggs in a saucepan over low heat just until lukewarm. Add that to the yeast mixture and stir. Add the flour all at once and use a sturdy spoon to mix until there are no dry pockets of flour and everything is evenly moist. The dough will be shaggy, but that is as it should be. Don't get zealous and try to over work it. Cover with a damp tea-towel and let rise in a warm place for about an hour and a half, or until almost doubled in bulk. Grease the pans you want to use to cook them (it will yield 2 standard loaf pans but can also be divided among ramekins or baked in oven-proof bowls.) Divide the dough to fill the greased pans by about 1/3. Reserve any leftover dough for The Baker's Tax (See Notes). Cover the loaf pans with a damp tea towel and let rise in a warm, draft-free place for about 30 minutes while you preheat the oven to 350°F. Bake the risen dough for 30-40 minutes for full-sized loaves or 25-30 minutes for ramekin sized individual loaves. Remove from the oven and let the loaves rest in the pans for 5 minutes before turning onto a wire rack to finish cooling. Store loaves wrapped in a clean towel at room temperature for up to three days, or wrap cooled loaves in a double layer of plastic wrap and freeze for up to three months. 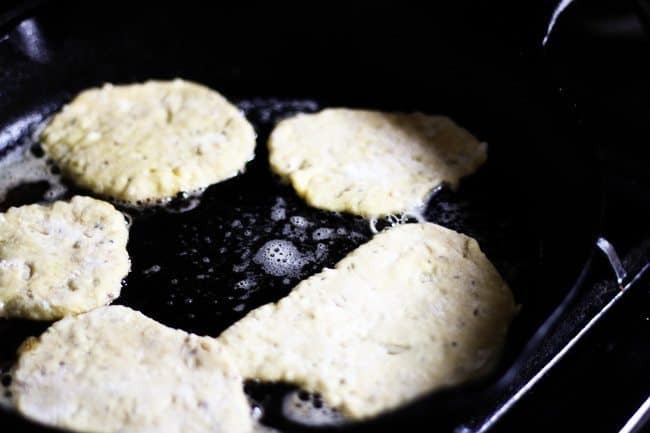 *If you don't have white whole wheat flour, you can simply substitute an equal amount of all-purpose flour. It will still be delicious. 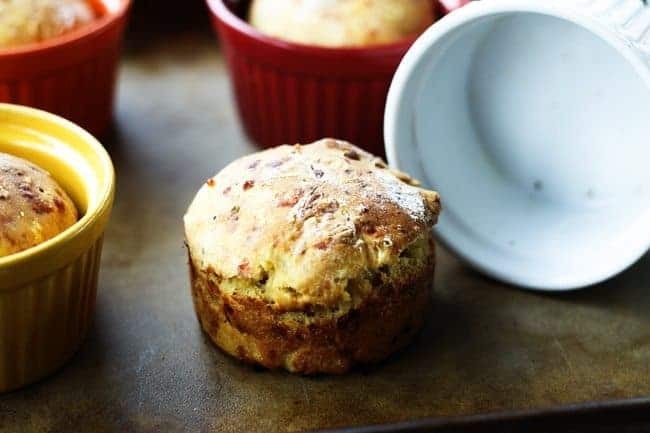 The Baker's Tax is simply walnut sized pieces of leftover dough rolled out about 1/4-inch thin and fried in melted butter in a cast-iron skillet until deep golden brown and cooked through. It's a reward for baking that you might just like so much you plan ahead to have leftover dough the next time! You had me at dill. And also? YOUR. DAD. I love a well-rounded man. And that picture. Love those mugs! but the mini muffins loaves toasted in butter? Be still my beating heart. 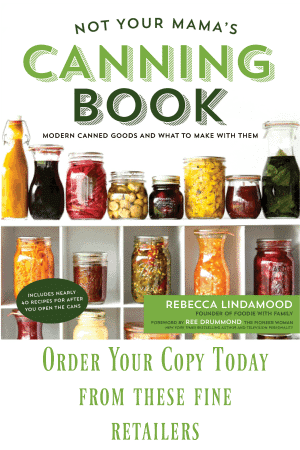 Soo….what if all I have is bread machine yeast? Emily- You can definitely use the bread machine yeast. Add the water to the other wet ingredients to bring it to lukewarm and whisk the yeast into the flour before adding it into the wet stuff. Tada! Preach it, sis! 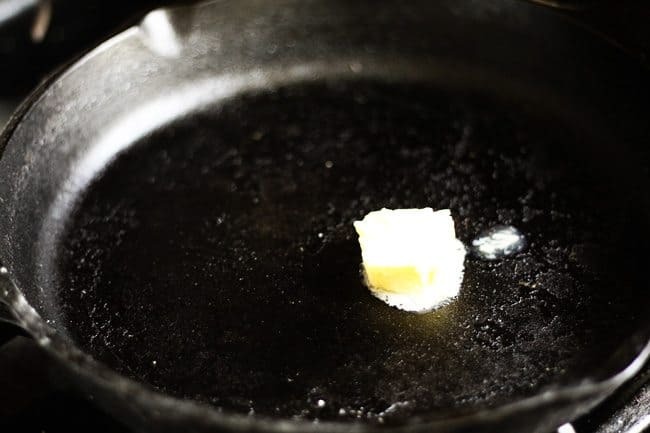 Can you tell everyone how it smells when the dough is fried in butter? I want some independent verification here. It smells like butter and onions and fresh bread. It really doesn’t get any better! Wow upon wow. I love those little mini loaves!! Must make soon! Oh My! I’m on a no-wheat diet, but I might have to break it for this! Thank you for sharing this recipe! I just checked the fridge and since I have about 2 cups of cottage cheese that need to be eaten, I’m making this now! Your dad sounds like a treasure and makes me cherish even more the fond memories I have of my daddy who passed a few years ago. I adore your blog, and as a fellow homeschooler of 4, love that you homeschool, too. I grew up with cottage cheese pancakes (which have yet to be on my blog for some reason) as a fav breakfast. They remind me of my dad who sounds a bit like yours. I am looking forward to making this cozy bread for sure! I haven’t had Dilly Bread in one hundred years, but I remember loving it! Will have to put this in the queue. Thanks for posting, I first made this bread in a jr. high home eco. class, I am now 61 so it was a few years ago and I always thought this was a terrific bread. I like the addition of the white whole wheat, thanks for such a comprehensive sharing of a family favorite. Awesome bread! As a fellow dad/grandad that bakes, was impressed that it sliced while warm! It smells like oniony heaven as it bakes! My tummy wants some now but it is still many hours till breakfast. What to do, what to do? My dough turned out really dry too! 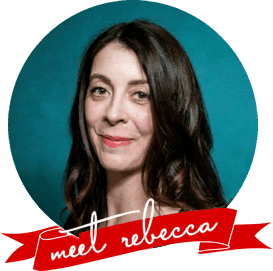 What could have happened, Rebecca? Hi Pam- How do you measure your flour? Do you dunk the cup into the flour? Sprinkle over the top without shaking and level? Or weigh it? Dry dough sounds to me like perhaps you have too much flour in it. The most foolproof way to get the proper amount of flour is to weigh it. Second best is to dip a spoon into the flour and sprinkle over the top of a measuring cup, taking care not to shake the measuring cup (because that makes the flour settle.) Dunking the cup into the flour to measure it almost invariably nets you far too much flour. A standard cup of flour should weigh 4 1/4 ounces. Just like mom used to make, thanks for a plesant and tasty trip down memory lane! Ok I have always loved dilly bread, but never made it myself. Being pregnant and craving dilly bread, I searched for something that was easy but the tasty goodness I remember from childhood. So good!! Huge success, my mom (the ultimate judge) mmmed and awwwed by this recipe. Very tasty, simple enough for me to follow and exactly what womb service was requesting. 😉 Thank you!! I just love your story. Thanks for sharing. I’m headed for the kitchen to make some Dilly Bread now. I’ll get back to you with the results. I made this last night with some “Sunday Stew”! It was Glorious. I baked it in a bunds pan. It was gorgeous! I’m making another batch now, I added a little Parmesan cheese, and I have to admit, I added 2 tablespoons of dill weed. I am in love witH dill! Thanks for the recipe and photo. What a darling bunch of boys! Love this recipe and that picture had me cracking up for a good minute. Your dad sounds like the kind of man I admire, and any man that bakes gets brownie points in my book. Thanks for the thorough post, and I love getting some backstory with recipes, too. One last thing: Baker’s tax = Gold. I’ve got one of my cast iron skilets on the stove-top now, preheating. I remember this bread from my teen years, my Mom and I made it often. We baked a big round of it on a pizza pan. Our favorite use for it (after pigging out on it fresh from the oven) was to slice and toast it for tuna sandwiches. The BEST tuna sandwich bread! I bet this would be awesome for tuna sandwiches! Never used cottage cheese in bread before! Can you use fresh dill in this ? if so, how much? Absolutely!!! Fresh dill would taste great in it, I think. I haven’t tested it that way, so I’d say google the usual fresh for dry substitution and start there! I made this and it was great! I didn’t have the dehydrated onion and used fresh. Also, I only had wheat flour. 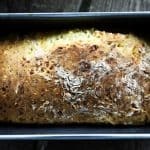 Bread has a great flavor and was easy to make! Have you ever tried to cut the milk in half and add pickle juice? Just a thought. I have not, but what a fun experiment! So I didn’t have whole wheat flour. I used 4 cups all purpose flour and one cup quinoa. Also upped the dill and added a half cup of granola that I had in the pantry. Those are some pretty inventive substitutions! I’m glad you loved it.